At the beginning of the season I had parents, players and coaches sign codes of conduct immediately after showing them a film about the clubs expectations in terms of behaviour. We are now mid season and still I observe parents coaching from the sidelines! and even challenging the clubs coaching methods. “Kick it hard” and “Get rid of it” are comments i hear all too often. There is nothing more frustrating to our coaches than hearing parents coaching from the sideline, and worse still by yelling instructions contrary to those of the coach. On Saturday our SAP youngsters were playing in the U-9; U-10; U-11 and U-12 competitions. I observed so much sideline coaching such that i felt the need to reiterate the clubs playing philosophy in this article. One of the most important tasks for a Technical Director is to create a coherent thought-process running through the club. This is not something that happens overnight it starts with the recruitment of coaches who buy into, and understand the clubs philosophy and then go about implementing it. A club should not breach its philosophy because if a club is not determined in its beliefs how on earth can it ever achieve objectives? 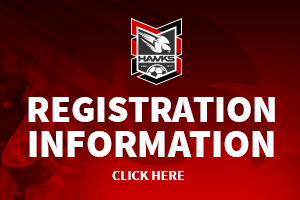 At the Hawks we DO NOT “Kick it hard” or “Get rid of it” We are wanting our players to become competent in keeping possession of the ball by passing it around and finding ways to create goal scoring opportunities through sound decision making. We encourage players to be creative and express themselves. We expect them to make mistakes because that is part of the learning process. Let me be my usual blunt self. Regardless of the fee one pays toward a child’s education there are no guarantees that the child will excel as a trades person or an academic. The child has to want to learn and given that is the case then the parent has to trust in the teacher and the school to get the very best out of the student. The same applies in football, especially at an elite level like the SAP/NPL/QPL. Training sessions are planned carefully; the warm ups, the session objectives, and games are not merely a series of random events; they are meticulously planned and are a part of a bigger picture. If little Lionel Messi or Critiano Ronaldo isn’t feeling “a vital part of the team” or is perhaps not improving his skills quite as much as parents hoped then it ought to be known that my coaches are NOT MAGICIANS! THE youngster NEEDS TO PRACTICE. That means turning up every week on time, not just when he/she feel like it. I know little Lionel is a born winner. He clearly takes after his Dad and I also appreciate that Lionels uncle played a few games for a local clubs reserves in the season they won the masters division five title back in the day. So clearly the Dad knows football. It’s just as well, this is coaching, not playing. Or watching. And when we’re dealing with children – not adults – we have to think carefully about whether we demand that the players show you how much they really want to win the league – and, of course, the big shiny trophy that goes with it. Overemphasis on winning can actually have a negative impact on the child’s motivation and self-esteem. I can tell you that studies have shown that too much external pressure leads to stress, burnout and giving up the game, especially among players in the so called elite level. Recent studies conducted by several football governing bodies revealed that the most common reasons for kids playing football were, not winning the league or trophies, but trying their hardest, because it’s fun, it’s a great game and they love it. “Why on Earth did you play him there? He can’t play there. He’s not a defender. He’s a forward; he only wants to play as a striker; he’ll get you 30 goals a season from there.” But he’s only 10 years old. Your son’s clearly good at maths too – I suppose it’s all that counting practice keeping track of his goals tally – but would you instruct the teachers at his school to excuse him from literacy lessons so he can focus on becoming a mathematician instead? No, so give him a chance to breathe, let him develop new skills and you’ll be surprised at how good he can become. I really want him to be successful too. A winner, yes. But not just in an under 11’s match where, frankly, he’s simply much faster, stronger and older than most of the other players. (The wonders of a birthday early in the year) this won’t necessarily last. I’m trying to provide the players with the full range of skills necessary to win when they’re 15, 18 and 21. When I state to parents that I’m not interested in league tables … I actually really, truly mean it. 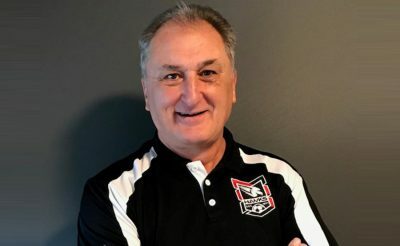 It creates a race to the bottom with 11-year-olds, where long-term player development is relegated at the expense of hoofball, ranting parents and pressure to win at all costs. As Technical Director I’d love it if people could direct their efforts towards something a little more meaningful. Like, say, one of the many admin/committee roles at the club: there’s Sponsorship; communications, secretary, treasurer, welfare officer; even a general dogs body to help collecting the corner flags after the game or locking up the club at night or washing the bibs and pumping the balls or marking the pitch lines and repairing nets. Please do not let my blunt but honest approach deter you. I am not a childminder; I’m a qualified coach. Experienced too. 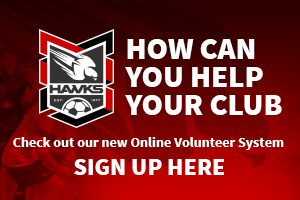 Keen and passionately interested in helping young players at the club fall in love with the game and fulfil their potential in a safe, fun-filled environment. Please let me let them play. They’re children. That’s what they love to do. They take play very, very seriously. On a positive note. By now you all know that I occasionally, well, yes frequently harp on about the importance of fostering a growth mindset with the players (“mistakes are learning opportunities” etc)? Well, I genuinely believe that together Parents & Coaches can have a positive impact on our young players by trusting the coach, and reassuring your child by simply saying to them after a match: “I loved watching you play. It was great fun.” This would allow them to move on from mistakes and bask in the warm, character-enhancing glow brought about by riding on the physically, technically, socially and psychologically challenging rollercoaster that is playing a competitive team sport; if you could just remind yourself that we both want them to become the best player they can possibly be, we could create an environment for them to succeed unencumbered by a crippling fear of failure. Just try it. Go on, please. It might be tough at first but at least give it a go you will not regret it.